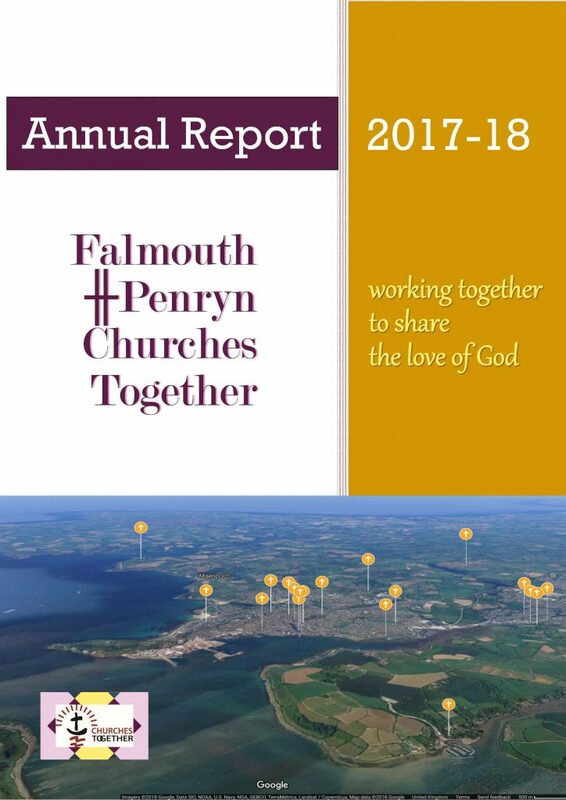 Falmouth & Penryn Churches Together (FPCT) is an association of 20 Christian congregations in Falmouth, Penryn and the surrounding areas; providing a forum in which we can explore, and through which we can put into effect, ways of serving God together – both in worship and in service to the community. See the Member Churches page for contact details of our member churches, and our Annual Report for details of all our activities. FPCT is governed by its Forum, comprising two representatives (plus the minister) from each member church, and serviced by its Executive, whose members are elected by the Forum, It meets bi-monthly and holds its Annual General Meeting in July, when officers (Chair, Vice-Chair, Treasurer, Secretary and Public Relations Co0ordinator) and executive members for the coming year are elected. All meetings are public and anyone is welcome to attend, but only church representatives may vote. Dates of meetings are shown on the Events Calendar page. To contact the officers please send a message via the form on the Contact Us page. We will respond to your enquiry as quickly as possible. In November 2014 FPCT adopted a formal Constitution and at its 2015 AGM agreed to adopt the Statement of Belief of Churches Together in England, to which it is affiliated through Churches Together in Cornwall.